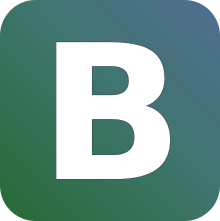 Bootstrap is modular and consists of a series of Less style-sheets that implement the various components of the toolkit. These style-sheets are generally compiled into a bundle and included in web pages, but individual components can be included or removed. Bootstrap provides a number of configuration variables that control things such as color and padding of various components. Since Bootstrap 2, the Bootstrap documentation has included a customization wizard which generates a customized version of Bootstrap based on the requested components and various settings. As of Bootstrap 4, Sass is used instead of Less for the style-sheets. Bootstrap provides a set of style-sheets that provide basic style definitions for all key HTML components. These provide a uniform, modern appearance for formatting text, tables and form elements. In addition to the regular HTML elements, Bootstrap contains other commonly used interface elements. The components are implemented as CSS classes, which must be applied to certain HTML elements in a page. 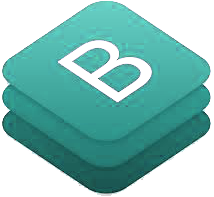 The above is a compilation about Bootstrap from various sites. Watch this space for more information on latest trends in Technology.